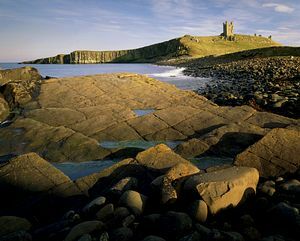 Standing on a dramatic headland overlooking the North East coast, Dunstanburgh was once the largest castle in Northumberland, covering 11 acres. The site is part of the Great Whin Sill which is a natural escarpment which cuts across Northumberland. Built in 1313, what remains from the ravages of time, weather and warfare is a gaunt ruin, a tantalizing glimpse of what this grand fortress was once like. The castle was built by Earl Thomas of Lancaster as a military stronghold against King Edward II. All the Earl's worst fears were realized when his rebellion failed and he was executed by Edward in 1322.
it further, converting the gatehouse into a formidable keep. The headland provided a 150 foot cliff which was a natural defence but from the south there is a gentler approach. This shows the remains of raised rigs and deep furrows where crops would have been grown for the castle residents. Two rectangular towers remain of the south-facing defences, known as the Egyncleugh Tower and the Constable Tower, along with two turrets. The gatehouse stands on the west corner and would have been the original residential accommodation with the enclosed courtyard behind which would have been used for the troops. The gatehouse was a four-storey high structure and would have been topped with turrets. One of the rooms in the gatehouse controlled the portcullis mechanism. On the hilltop is a turreted watch tower, called the Lilburn Tower. During the Wars of the Roses, Dunstanburgh was besieged and was eventually captured by the Yorkists but later fell into neglect. Much of the stone was carried off and used for local houses and buildings. be haunted. The original Earl has been seen carrying his head, the ghost of Margaret of Anjou, wife of King Henry VI, is said to wander the castle grounds, and a strange local legend about Sir Guy, a gallant knight, has him still searching for his sleeping beauty in the ruins. The last private owner was Sir Arthur Sutherland who gave the castle to the Ministry of Works in 1929. It is now owned by The National Trust and managed by English Heritage. Dunstanburgh was captured on canvas a number of times by artist J.M.W. Turner who painted it as an atmospheric backdrop to scenes on the beach below. It still makes a great photographic opportunity in all seasons. 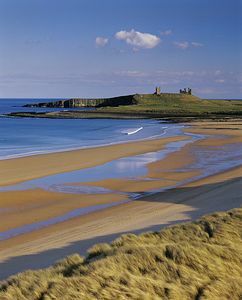 Visitors can enjoy a gentle stroll of seven miles in this outstanding area between the villages of Craster and Embleton. 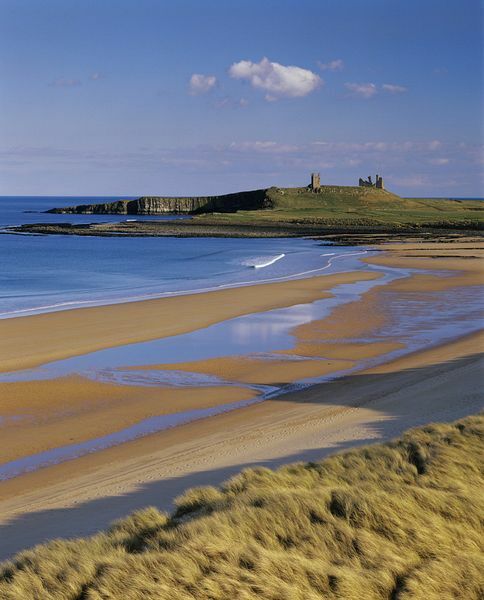 Enjoy the shoreline, the country tracks or the winding lanes around the area, with great views from the castle. It is also an ideal family visit which will capture the imagination of young visitors who can scramble freely and explore the ruins.